Marc J. Smith is a Rockville, Maryland employment attorney and a founding member of the law firm formerly known as Smith, Lease & Goldstein, LLC. In 2018, after 18 years managing Smith, Lease & Goldstein, LLC’s employment counseling and litigation practice, Marc launched his own boutique practice where he continues to focus exclusively in the employment law arena representing both employers and employees throughout the State of Maryland, Washington D.C. and other jurisdictions. Marc is licensed to practice law in Maryland, the District of Columbia and Georgia, and has been admitted to practice before a number of federal courts. A Montgomery County native, Marc attended Woodward High School in Rockville and is a 1990 graduate of the University of North Carolina at Chapel Hill Law School. Marc is in his 29th year of practice as an employment attorney. Marc spent the first seven years of his legal career as an associate with Morris, Manning & Martin, LLP, a large Atlanta-based firm where he was a member of the firm’s employment practice. While working in Atlanta, Marc obtained invaluable training counseling regional and national employers and handling complex employment litigation matters throughout the country on behalf of employers such as Northwest Airlines, GTE, HBO & Company and Fannie Mae. Following his relocation to the D.C. area, Marc has represented both employers and employees in a diverse array of employment law and litigation matters throughout the State of Maryland, the District of Columbia and other jurisdictions. Marc has been regularly recognized as a Maryland and Washington D.C. “Super Lawyer” in the field of employment law, holding this distinction in 2007 and 2015-2019. During his 28-year legal career, Marc has had the opportunity to represent both employers and employees in a wide range of employment matters, giving him a unique perspective when advising and litigating cases on behalf of clients. Marc represents regional employers in the Washington D.C. metropolitan area, including banks, financial service firms, government contractors, construction firms, hotels, medical and dental practices and retail concerns. A substantial part of Marc’s practice also involves representation of private sector employees, executives and federal and state employees Marc provides advice to his clients with respect to the many facets of the employment relationship, including issues relating to hiring, discharge, discipline, discrimination (including race, national origin, gender, age and disability discrimination), harassment (including sexual harassment), family and medical leave issues, wage and hour matters (including overtime issues), and restrictive covenants (including non-compete and non-solicit agreements). Marc has substantial experience negotiating and drafting executive, employment and severance agreements, employee handbooks and other employment-related documents. 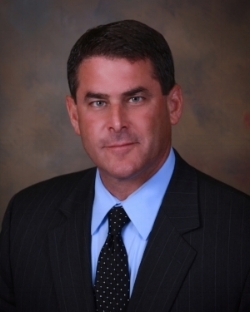 Marc has litigated hundreds of cases in state and federal courts and before arbitration panels in jurisdictions throughout the United States, including Georgia, South Carolina, Tennessee, Alabama, Texas, Virginia, Maryland, the District of Columbia, Pennsylvania, Illinois, Indiana and Colorado. Marc has also handled numerous cases that have been resolved through mediation and arbitration and has represented many federal employees before the Equal Employment Opportunity Commission and the Merit Systems Protection Board. Marc has also developed a unique practice area representing individuals who have failed to register with the Selective Service. Most of these cases involve federal employees or applicants for federal positions who find themselves ineligible for federal service due to their failure to register with the Selective Service. Marc has successfully handled nearly 100 cases on behalf of individuals who failed to register with the Selective Service, preserving their federal jobs or clearing the way for federal employment. For more information about this practice area, see Marc’s Selective Service Blog.